Shared hosting is one of the most basic forms for web hosting, and is the primary way in which people launch their websites. There is a single server that is leased out or rented out to a number of customers and clients allowing them to host their websites. The resources of the server like bandwidth, CPU, RAM, space, etc. are shared between all these customers making shared web hosting one of the most affordable forms of web hosting present on the web today. It is an entry level hosting plan. Shared webhosting usually comes with a limited set of features that are absolutely necessary for running the website and basic form of software. It doesn’t offer any advanced functionalities that is offered by cloud hosting or even VPS or dedicated hosting. A single server may power over thousands of websites at the same time. Shared hosting is also known as virtual hosting sometimes. 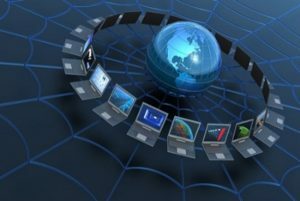 Since a server is shared by all the websites, all the resources offered by the server are also shared. This means that if one website is compromised, others are at potential risk too. If the server suffers a downtime due to any reason like malware, wear and tear, virus attack, sudden influx of traffic or any other reason, all the websites sharing the server will be affected. On the other hand, shared hosting comes with very little technical aspects associated with it. They are very easy to use and maintain. There is no root access provided to the end user. The server is maintained by the server administrator, who in most cases is the service provider or hosting provider itself. The end user does not have to handle the technical aspects of running and maintaining the server. This is the ideal choice of web hosting for individual website owners and small and medium scale business owners. The number of email accounts, disk space and RAM offered by shared web hosts is usually enough. Even shared hosting is offered in different flavors and there are a number of plans to choose from. In case you are looking for more RAM, disk space or resources, then there is usually an option to move onto the next plan instead of directly moving onto a VPS or a dedicated server. Shared hosting is usually best known for its ease of use and cost effectiveness. There are a lot of business owners and even individuals who like to host their sites locally. The primary reason for doing this is because the closer the server is to your business location and its intended users, the fast the website will load. If your targeted customers are local residents, then it is recommended that you host your website locally. That way your site will load quickly and server better. It is also a known fact that search engines favor sites that load quickly. So you are going to rank higher leading to even more sales and profits. Go through heir sites and compare their prices as well as the services that they are offering. Most of these shared hosting plans will come with one click script installer that will make things easier for you.